A Picture is worth a thousand words, as they say…. Bernie Sanders fans create Viral Backlash, attacking CNN. 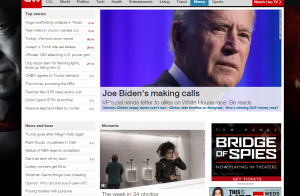 The corruption of power and money is evident when you look at shameful articles like this one from CNN. It seems that there are a lot like them.